Andy Zaltzman is a master of observational comedy driven by politics, current events and of course his favourite topic – cricket. A multi-layered performance, referencing the obscure, engaging with the audience and presenting sharp political humour in an absurd and sometimes bizarre way. Right Question, Wrong Answer starts with a mock quiz to introduce the premise of the world delivering the wrong answer when asked an important question, it ends in a conversation with a friendly robot. In between and interweaved with the technical props and set pieces are observations, one liners and word play that ensure the show operates spectacularly on all levels. Andy’s approach to comedy is so intricately researched and designed that it isn’t possible for any audience member to understand every reference and that’s exactly as designed. The show is wonderfully intelligent while remaining accessible to anyone, even if they only have the most glancing interest in world events. Right Question, Wrong Answer is a show with a global reach, with topics ranging from Brexit, Australian immigration and naturally Donald Trump, it explores the idea of nationhood and what it means to be British. 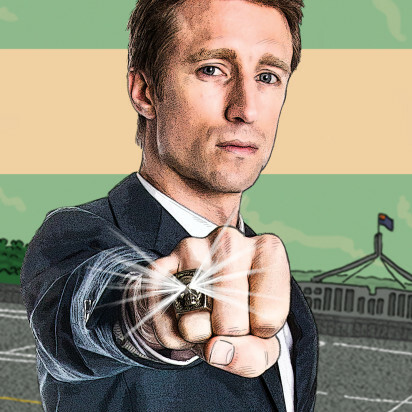 This show will naturally appeal to those who like their comedy satirical and topical, but there is enough depth for it to be enjoyable to all. Andy is clearly adding material all the time based on what’s happening in the world. He said a couple of times that a bit was new that night and it is a joy to see him enjoy the audience reaction for the first time. The only struggle for Andy with this show is the allotted time, there is far more material than there is time and at this point in the run he’s still determining what should be in the 1-hour slot and what should be left for the director’s cut. This show will evolve over its run which makes it a rare show that may justify multiple viewings to witness the evolution. It was a pleasure to see a master of his craft at work, and while tonight’s performance was not quite the finished article it provided a rare glimpse into workings behind the scenes. 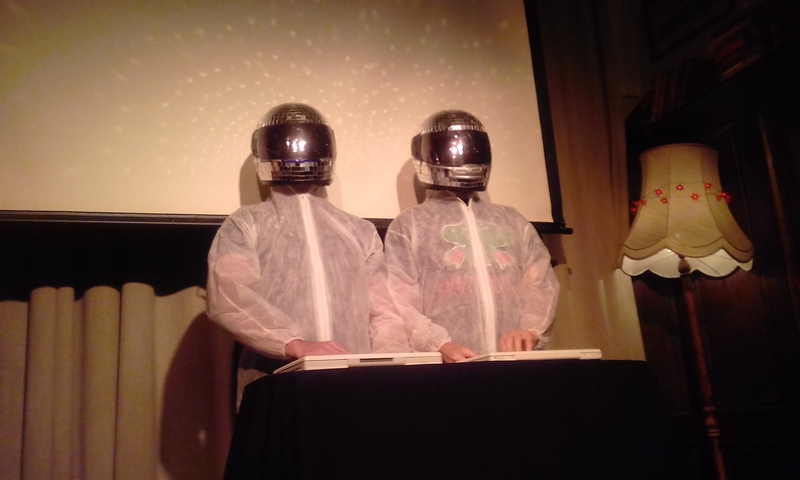 Seeing it at this stage humanizes the show and allows a deeper connection between the audience and the performer, while Andy acknowledged that the first few nights the audience was “more of a focus group”, it was without doubt the most entertaining focus group I’ve been involved with. Launched for 2018. Hosted by comedy legends Lano & Woodley, their reunion this year, after 12 years apart, in their new show Fly is one of the big thrills causing quite a buzz in a gigantic, exciting programme. There are more than 620 shows in this years festival. Some of the shows are encore performances and others that we Squirrels managed to catch and review at other festivals. Feel free to click on the links below and read what we thought of these earlier iterations, keeping in mind that festival shows are ever evolving beasts that change and develop over time, so the new version may be quite different to one we saw. See a favourite off the telly, See someone you’ve never heard of. Most of all have a wonderful time and keep an eye on Squirrel Comedy as the new reviews roll in and we keep you up to date on what’s happening via our Social Media. Political Asylum Comedy – Late Night Riot! In 2017 I decided to set a challenge for myself to write up every show that I saw in my Lisa’s Live Comedy Big Year Blog. Well. As you can see, it became harder to keep up with in the second half of the year, even though it seems that is when things are usually quieter, I was wrong and life stayed pretty busy and when it was not it was because I was ill. I still kept other records of my gigs and so was able to list them all, but not reviews sadly, so I don’t have reviews of a lot of my comedy experiences for the last part of the year. 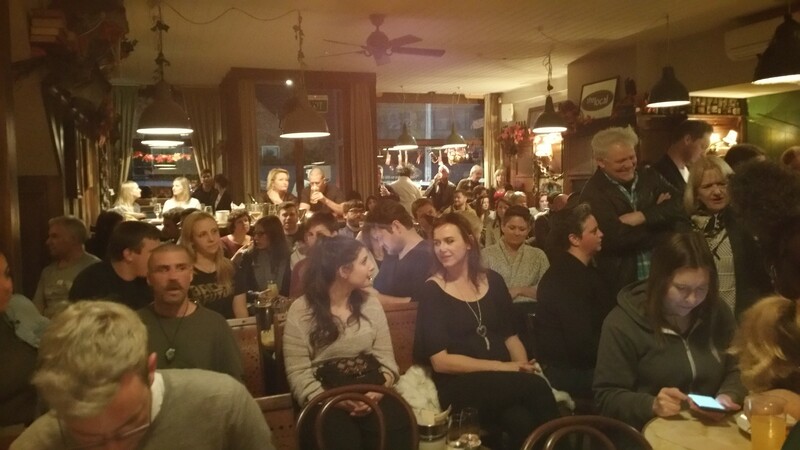 I also wanted to keep a pictorial record of gigs, but it’s not always possible to take photos and even in the regular comedy rooms, I was not good at taking subtle photos and got caught out and commented upon/told off. Then my flash went off by mistake. Arrrggghhh! So I gave up on my own photos and got some much better ones from room runners or friends with more experience. Of course I spent a lot of time at my regular comedy haunt Local Laughs, but managed to visit several other rooms as well. I have had a lot of wonderful comedy experiences this year, especially during the trip to the UK which included seeing Daniel Kitson’s Something Other Than Everything at the Roundhouse in London and two weeks at the Edinburgh Fringe Festival where highlights included seeing The Doug Anthony Allstars still making jaws drop in their home away from home, new discovery Jayde Adams just blowing the room away at The Pleasance media showcase with her surprising vocal talent and the hilarious story that goes with it, seeing Yianni do his best work in some time because it came from his life and his heart, Adam Vincent slaying packed rooms with deep dark tales of suburbia and playing interactive Wifi Wars at midnight. Other highlights of the year include the final shows of the debauched boutique comedy legend that was The Shelf and in particular the performance of Fringe Wives Club who brought the house down and made everyone rush out to see their show. Andy Zaltzman did the searing political comedy, Plan Z, that everyone had expected from Ex Bugler John Oliver when he last toured and finally I adored Sammy J’s Magnum Opus – Hero Compex for a 2nd time, to find it had evolved, as the story had in real life and it was joyful to watch everyone’s jaw dropping and howling with laughter as the story unfolded, knowing where it was going. 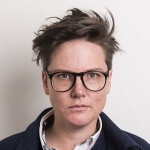 Under the radar: Not enough people were talking about UK comedian Kieran Hodgson at MICF but my goodness Maestro was a gorgeous show and the joyful weirdness of Aussie duo The Lioness who’s show Peggy Babcock, Peggy Babcock, Peggy Babcock had a much too short run in an out of the way venue. Its always hard sorting out a shortlist of the best comedy shows. I have picked out 5 outstanding experiences and they are set down in the order that I saw them. January’s highlight was definitely seeing Wil Anderson and Justin Hamilton in a theatre full of excited fans. Both consummate comedians at the top of their game. Am determined to see Wil’s solo show this year and looking forward to it. I’ve been missing seeing Justin around the traps since he moved to Sydney but am hoping to see more of Wil Anderson, now he’s taken a job in Melbourne breakfast radio. Hannah’s final festival show was indeed a showstopper. It was a show about the Zeitgeist, about equal rights, about truth – in life and in comedy, about standing up and being listened to. It was powerful, moving and of course funny. A masterpiece of Standup. 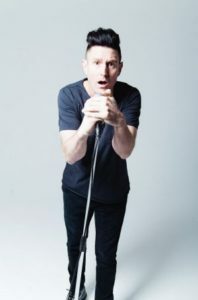 During her interview on Comedian’s Comedian at MICF, Stuart Goldsmith shrewdly asked what would happen if this amazing show won all the awards, like The Barry and even the Edinburgh Fringe Best Comedy award? Would she still quit comedy? Well all of those predictions have come to pass (including a Helpmann Award along the way) and Hannah is still going strong. Having sold out many shows at the Victorian Arts Centre and The Sydney Opera House she is adding further shows this month to the Opera House, followed by Perth and then a month from February in London at the Soho Theatre. They are selling out. All comedians should go out on this sort of high. The world is her oyster and she’s certainly making the most of it all. Whatever she chooses to do next, I wish her all the happiness. Craig Ferguson’s quirky tonight show was a staple in our house and I’m missing his Peabody Award winning interviewing style on late night TV. 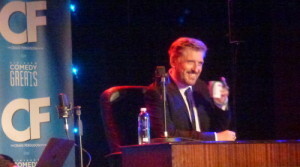 I’ve been hoping he might at least tour his standup comedy here in Australia, as he has happy memories of performing here in the 80s (as do I), but sadly there is no sign of this, especially as he is now busily hosting a successful drive time radio show. Craig decided to record some of his radio shows live from Edinburgh, taking advantage of all of the gathered performers from around the world to appear as guests, and all of the Squirrels were lucky enough to attend in the wee hours of the Festival. The Rose is a lovely old theatre in the New Town with a great atmosphere and the packed audience had an awesome time. 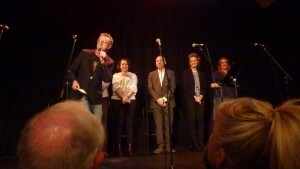 The live radio broadcast lasted for 2 hours and consisted of two very entertaining in-depth chats with performers who were often old friends of Craig. In our case an old close friend impressionist/comedian Jan Ravens and Scottish writer Iain Rankin. Ron later saw the show with guests Daniel Sloss and Tommy Tiernan and Craig had Aunty Donna on the show towards the end of the run. Its a pity there is no podcasts of these recordings and that the radio show is not broadcast outside of the Americas. Performed by Tony Martin, Geraldine Quinn, Roz Hammond, Andrew McClelland, Damian Cowell, Lachy Hulme, Djovan Caro, Simon Rogers, Casey Bennetto, Serina Rowell, Cristina Laria, Sam Petersen and Jay Mueller as the Narrator. A brilliant sitcom in 6 episodes about a couple who chooses to be childless while they navigate the changing, diminishing, modern workplace in radio and book publishing and their changing, diminishing friendships as their friends succumb to parenthood and all that entails. The episodes are easily as entertaining & funny as other recent Australian ABC comedies, so it’s surprising that they were knocked back for Television broadcast. The talented performers were all having a ball playing the various characters and Jay Mueller made a brilliant honey tongued Narrator. This was a unique and special experience this year. These shows were recorded for podcasting and so you can listen to them all here. Denise Scott, Cal Wilson, Fiona O’Loughlin, Anne Edmonds, Celia Pacquoa, Demi Ladner, Tessa Waters, Laura Davis, Kelly Fastuca, Geraldine Quinn, Double Denim. 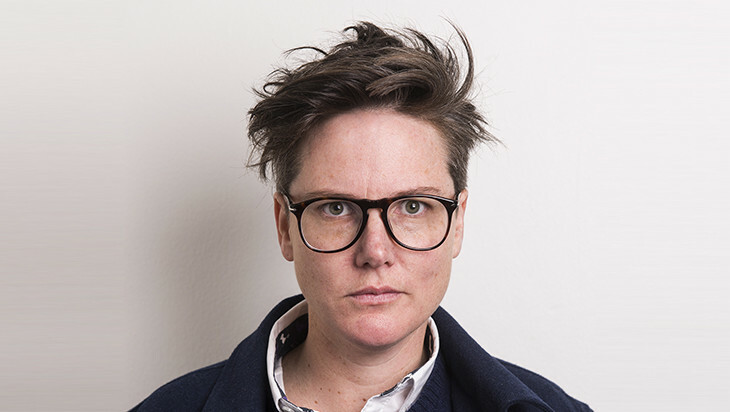 A fundraiser for Action Aid curated by the inimitable comedy goddess Janet A Mcleod. All of the performers brought their A Game and there was not a weak spot on the night. It really felt like a Comedy Gala and we were all pretty privileged to be there laughing our arses off. Great to have a majority of women in the audience too. 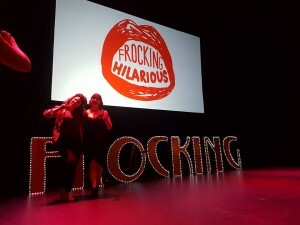 It wasn’t just some of the best Australian women in comedy it was some of the best Australian comedy on stage. 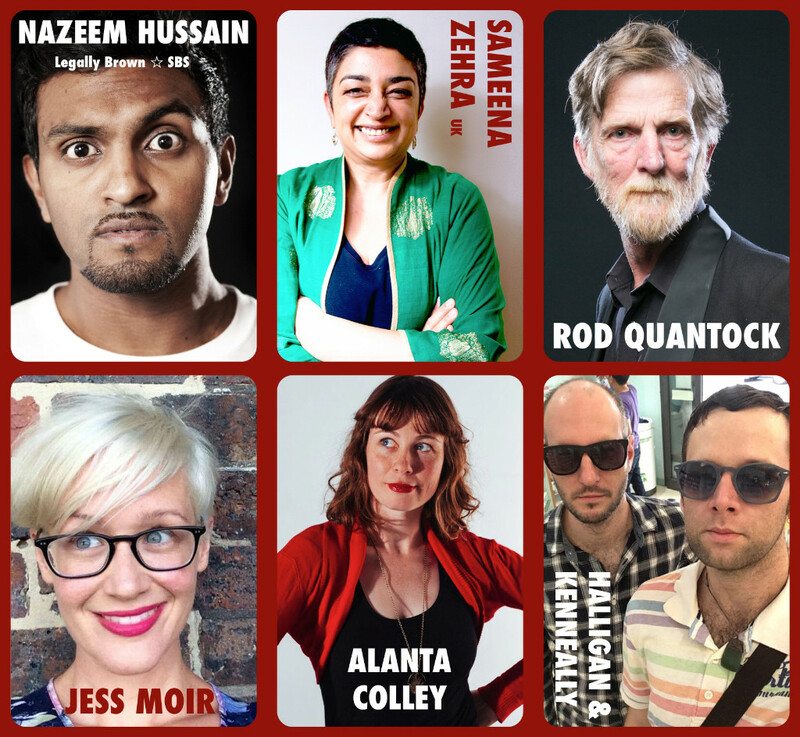 Political Asylum is a comedy night for comedians covering the weightier issues. Hosted by Mathew Kenneally, comedian and lawyer, who along with some other like-minded comedians founded the night in 2009. Matt is a genial host and covers a wide variety of topics in his intro set and in-between guests, from the popular topic of the US president, to marriage equality and how it might affect the over-priced wedding cheeses market. Toby Halligan is another core member of the Political Asylum team. He compares how things were back when they started nine years ago to now, and how it seems that not much has changed in that time, but reminds us with his funny takes of past presidents and how things have always been terrible. Sameena Zahra from the UK has hilarious takes on voodoo dolls, the luxury of having bucket lists, and admiration of people’s resilience while being stuck in sniper fire during a visit to family in Kashmir, bringing in some levity. 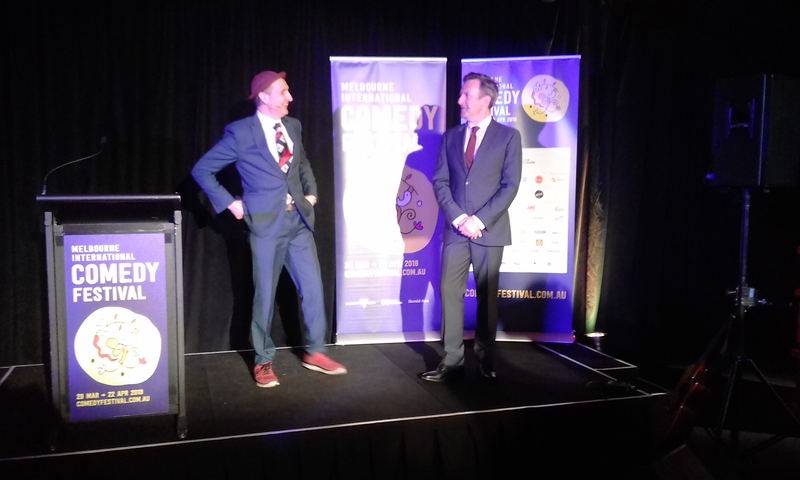 Australian political comedy stalwart Rod Quantock has given up on everything, it’s all so terrible, and the only reason he’s here tonight, he says, is to keep his run of performing for 31 years at the Melbourne international comedy festival. But luckily he sets the timer and runs us through a very hectic and entertaining history of everything in ten minutes (or so…). As always he is a Political Asylum favourite. 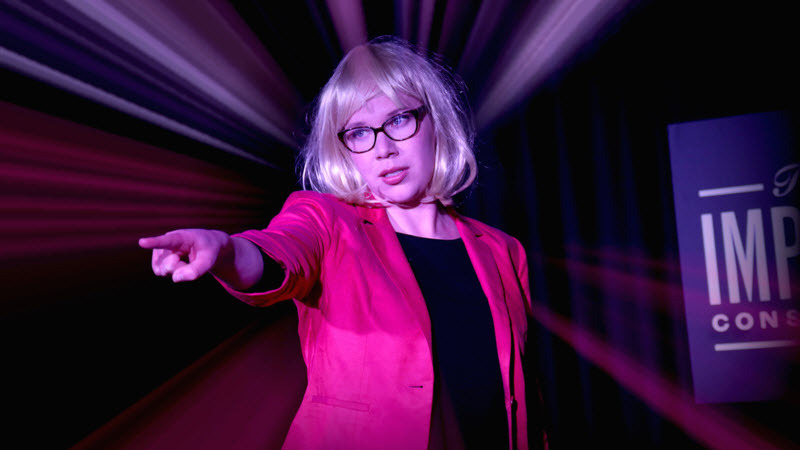 Rod is a hard act to follow, but Jess Moir has amusing jokes likening Trump’s process to choosing cabinet women to witch trials, and fantasy scenarios involving everyone’s favourite president Justin Trudeau. Canadian comic Mae Martin confidently takes to the stage, and proves popular with the assumptions made about her sexuality when dating, hippy parents, and unusual Christmas wishes. 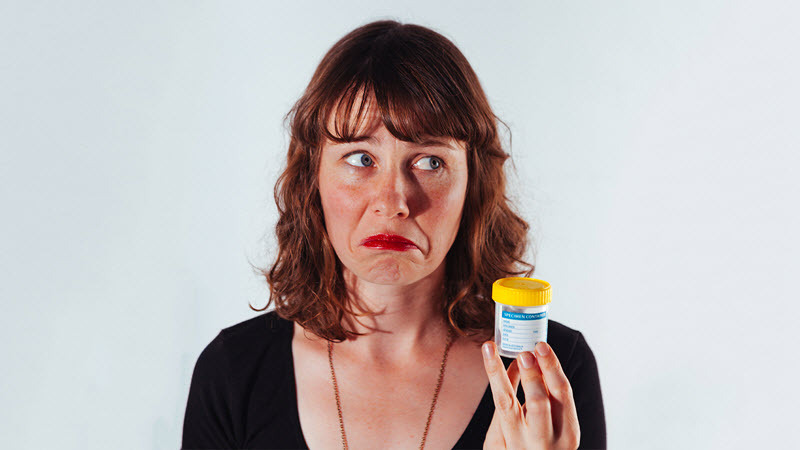 Alanta Colley delivers a very funny and intelligent set covering Pauline Hanson’s change of mind on vaccinations, and puns on Pauline’s views on Islam, all dealt with a sure wit. Another regular guest Nazeem Hussain gets his laughs from a story about visiting the US just before the elections were held and the interaction he had with a Trump supporter he met at a rally. 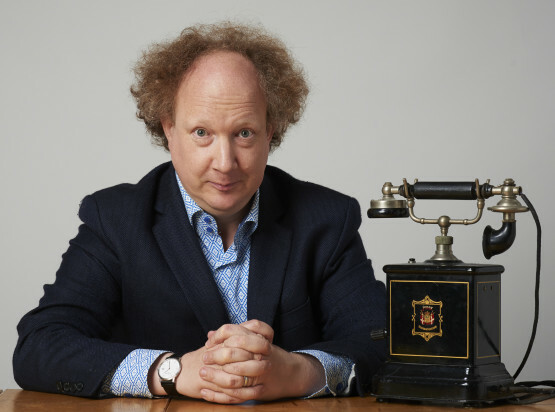 Andy Zaltzman headlines and brings the evening to hilarious conclusion with commentary on all manner of topics from his news feed, golfing Trump, global wars, economics, to stranger items like our onion eating ex PM, and the suggestive nature of cucumbers. There was barely a down moment and it was a surprise to see it had reached 1am when it wrapped up. With the state of the world as it is some the best we can do is take time out to laugh about it. 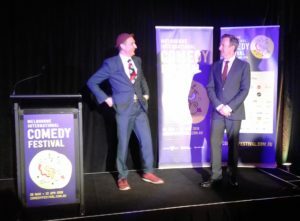 While this was a special one off event at MICF, there’s still a chance to see more at the regular Political Asylum fortnightly show. 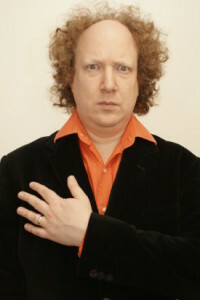 Alternative political comedian Andy Zaltzman starts with the jokes before the show even officially begins. A miked voice from behind the stage delivers a pre-show preamble, encouraging incoming patrons to find a seat, switch off their phones and unplug all landlines. The voice-over continues with a self-deprecating apology to long time fans for there being a large audience when they should be used to having a row each themselves. The in-show warnings and apologies increase in absurdity until the laughs are large. The audience are well and truly warmed up by the time the doors shut and it is time for Zaltzman to hit the stage to an extended ringmaster-style intro. Some initial audience banter establishes that there is a large percentage of the crowd who are already familiar with Zaltzman through his long running podcast The Bugle, which provides a chance for some ribbing of his former co-host John Oliver. Zaltzman covers all the bases you may expect from the current news cycle, quickly moving back and forth through Brexit, Syria, and Trump. Sound clips and some fruit and veg props aid the laughs as he delves into Trump’s brain, Australian news headlines, and Australian politics with a soft toy Prime Minister Turnbull making an appearance. The subject matter could have the potential to be quite bleak or overused, but the laughs are steady and the mood is kept up with a loose performance and just enough moments of silliness. Zaltzman mixes metaphors and creates juxtapositions to great effect, hilariously comparing our immigration policy to AFL, explaining why test match cricket is akin to reading novels, and also—by taking a quiz with a sceptical audience member—proving that the best thing in life is probably sports. The audience were primed from the moment they entered the room, and Zaltzman delivers with a rewardingly fun hour full of sharp gags and satire. The 2017 Melbourne International Comedy Festival is back bigger than ever and the Squirrels are here to help you chose which shows to spend your money and time on. There are shows that we have already seen and also some intriguing shows that have piqued our interest. 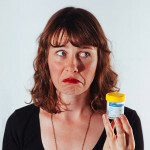 A number of MICF shows have run prior to the festival and we have already reviewed some of these. We’ll give the usual disclaimer that Festival shows are ever evolving beasts, so the show’s we have covered may have undergone changes (hopefully for the better!) since we saw them. 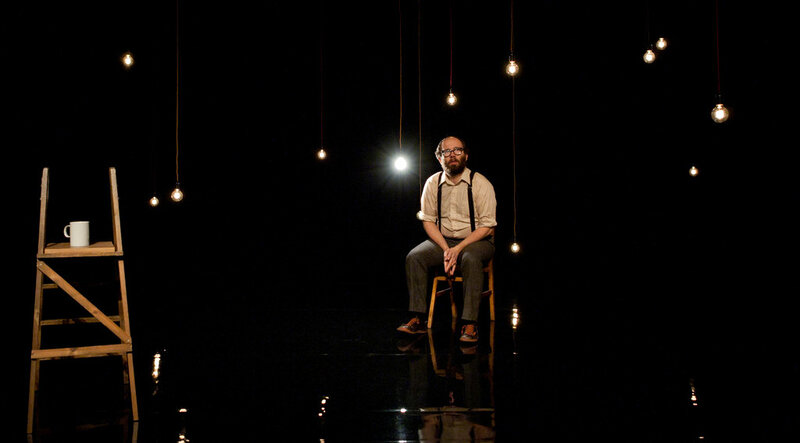 The last time Daniel performed here in 2015 it was with his astonishing, gorgeous, experimental play Polyphony. 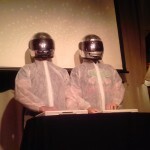 It involved 20 pre-recorded characters (played by actors and comedians) on MP3players being played by audience members. I was lucky enough to see it towards the end of the run, on a night when it all ran beautifully and it blew my mind. If audience participation was the comedy trend, Daniel fashioned it into couture art. We’ve missed out on a lot of his finished shows in Melbourne over the past ten years but he’s making up for it by giving us Three types of Kitson, including a filmed show we never got to see. Actually 3 plays in one (of his 3 shows). It will be long, why not bring a packed lunch? 3 of his delightful heartwarming and funny stories from Daniel with Gavin on the Guitar. 2. Not Yet But Soon – A Work in Progress Stand up Show. Well its another work in Progress, but having done it in Sydney before Melbourne it should be fairly well formed. An hour and a half, but knowing Daniel probably longer. Its mostly on late too, 10 pm so have a little nap during the day. A 7 year old show we never got to see in Australia, but here it is preserved forever on film and Daniel will be there to introduce it. A comedy night for charity produced by our own Erin Davidson and we can promise you she has organised a cracker of a lineup. Names she cannot name, but some of the top names in Australian comedy and this may be the only place during the festival you get to see some of them. Also you get to laugh for a good cause. Josh has hooked up with Daniel from Die Roten Punkte and they promise famous guest stars in this mini comedy music festival. I’ve had a bit of a taste of this one and it has got my mouth watering for more. Michael Williams: Escape from a 90s Educational CD-ROM! 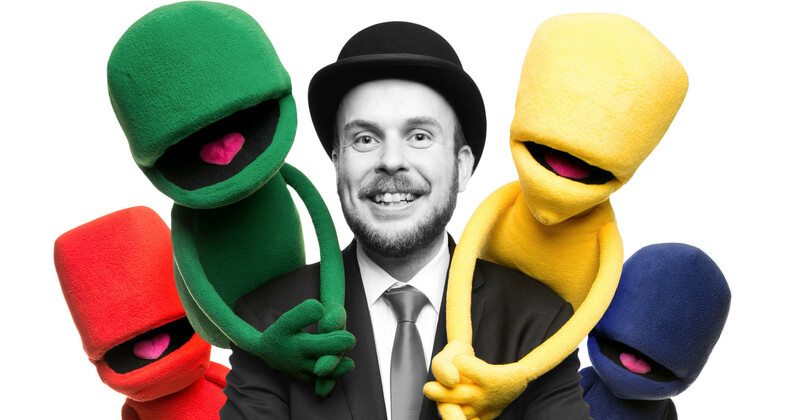 One of the recipients of this year’s Moosehead Grants, you can always be rely upon Williams to present an inventive and hilarious show. Last year he was one of our favourites, with the added Moosehead creative seal of approval, this is sure to be a doozy! 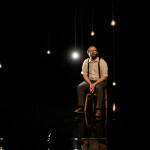 Hero Complex was the Talk of Melbourne Fringe and the talk was: “Have you Seen it? You HAVE TO SEE IT!! !” We were so glad we did. It won Best Comedy Show at Melbourne Fringe 2016 and has just won the first Weekly Award for comedy at Adelaide Fringe 2017. It is side achingly hilarious, and face hurtingly joyous. It’s better to go in knowing as little as possible; yes it is about Sammy J’s love for The Phantom but also about much, much more. Five audience members ­– in one caravan ­– with three spiteful old grannies ­– for 15 minutes. These terrifying characters by Thomas Jaspers, Kyle Minall and Scott Brennan will be more so in such close quarters and sure to be hilarious. 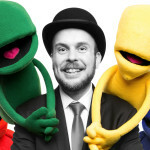 After scaring the stuffing out of laughing audiences at the Old Melbourne Gaol during the 2015 Melbourne Fringe, Watson (Adam McKenzie, Liam Ryan and Tegan Higginbotham) return with a show of frights and laughs. Another Moosehead recipent so expectations are high. View the entire Comedy Festival program at https://www.comedyfestival.com.au/2017, so get out and start booking tickets!